Nursing Assistant: Is It a Worthwhile Career? Are you interested in getting into the healthcare field? There are many different career paths that you can choose from. You could be a doctor, a registered nurse, and more. However, have you considered becoming a nursing assistant? This is a career that is dedicated to helping patients live fuller and better lives under your care. 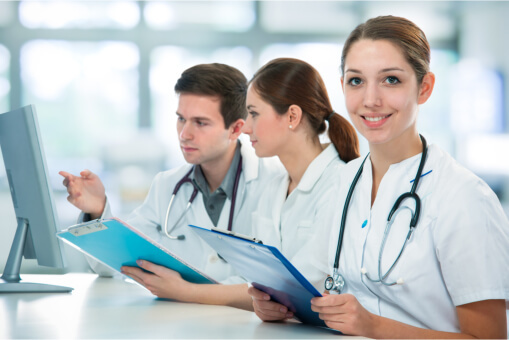 Compared to other healthcare careers, it is fairly easy to become a nursing assistant, especially when you are going to an exceptional nursing school in Illinois. This is also a good way to get your foot into the door and gain some experience if you eventually do want to advance your career in the medical field. There are few careers as rewarding as being a nursing assistant. You will be assisting people with a wide range of things that will help them live better lives. You will be able to assist patients with their personal care. This means you will help them with many of their day-to-day activities such as eating, bathing, using the bathroom, getting around, and more. Through the support you are providing, you are helping someone else live a more independent and fulfilling lifestyle. There are few things as rewarding as seeing someone smile because of the support you are giving them. If you are worried if this career can keep food on the table and a roof over your head, then you can set your fears aside. Nursing aides are well compensated for the services they provide, thus allowing you to live a more comfortable lifestyle to take care of your own family. So if you want to become a nursing assistant, you may want to consider our healthcare training in Dolton, Illinois. Those are just a few of the many different things that you will want to keep in mind when it comes to nursing assistants. This is a great career that can provide you with a comfortable life while ensuring others can live theirs to the fullest. If you would like to find out more about our CNA / LPN program in Illinois, please feel free to get in touch with us at Adonis College of Nursing (USA) today. This entry was posted in Nursing Assistant and tagged great opportunity, healthcare careers, Healthcare Training. Bookmark the permalink. 13 Responses to Nursing Assistant: Is It a Worthwhile Career? The following time I learn a blog, I hope that it doesnt disappoint me as much as this one. I imply, I know it was my choice to learn, however I really thought youd have something interesting to say. All I hear is a bunch of whining about one thing that you can repair should you werent too busy searching for attention. Can I simply say what a relief to find somebody who actually is aware of what theyre speaking about on the internet. You undoubtedly know learn how to bring a problem to light and make it important. More folks must learn this and perceive this side of the story. I cant believe youre not more standard because you definitely have the gift. Along with emotional rewards, a CNA position can open the door to other desirable healthcare careers. Because CNAs gain such valuable experience caring for others, some nursing schools won’t even consider applicants unless they’ve previously worked as certified nursing assistants. The rigorous work involved in the CNA profession provides strong preparation for a full-fledged nursing career. Perhaps you’ve thought about becoming a Certified Nursing Assistant (CNA) but you have a few questions about what it’s like and what to expect. A career as a CNA is an excellent way to enter the field of health care. It’s demanding—but also very satisfying. Outstanding post, I conceive people should larn a lot from this weblog its rattling user friendly. Appreciate it for this fantastic post, I am glad I noticed this site on yahoo. I am only writing to make you understand of the amazing encounter my daughter went through browsing your webblog. She figured out many pieces, most notably what it is like to possess an excellent giving spirit to get certain people without problems completely grasp specific specialized matters. You undoubtedly did more than people’s expected results. I appreciate you for supplying the helpful, trustworthy, revealing not to mention easy tips on that topic to Emily. Needed to write you this tiny remark to help thank you yet again for the gorgeous principles you have provided on this page. It’s seriously open-handed with people like you to deliver easily what exactly a few people would’ve offered for sale as an ebook in making some dough for themselves, principally considering the fact that you could possibly have done it if you ever wanted. The things in addition acted to provide a great way to know that someone else have the identical keenness much like my very own to grasp a whole lot more around this condition. I’m sure there are some more enjoyable opportunities up front for those who find out your site.